Welcome to Adore-a-Dog Grooming Spa . . .
​Hello, my name is Liz and I run Adore-a-Dog Grooming Spa in Lymington, Hampshire. I have always had a love of dogs from a very early age and started working with them as soon as i was old enough, and as such it now gives me great pleasure to be able to offer them the relaxed enjoyable grooming experience they deserve, where the time is taken with each individual pet to make their experience as enjoyable as possible. ​I love my job and have always strived to be the best....so......if you are looking for a qualified,caring,insured groom for your best friend then you have come to the right place. Please feel free to look around and i'm confident you will be booking with us in no time at all. What can we do for your pooch . 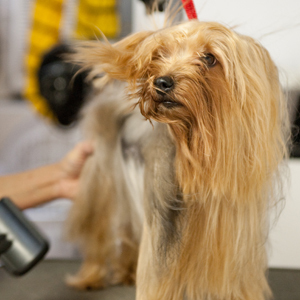 . .
​We offer a full doggy grooming service, from nail clipping and ear cleaning to bathing and shampooing. Visit our services page for full details. Check out our prices . . .
We believe our prices are very competitive. 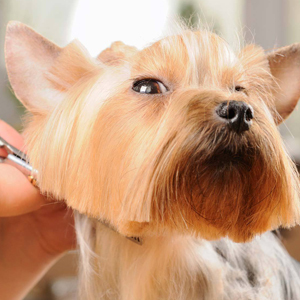 A typical dog groom will be around £20 to £60, depending on the breed and the condition of the coat. An exact price will be given following consultation. Click here to learn more about our service. FREE TREATMENTS for Guide Dogs. Payments accepted in cash or card only. Ask your groomer about discounts for regular treatments. Please view our House Rules here. 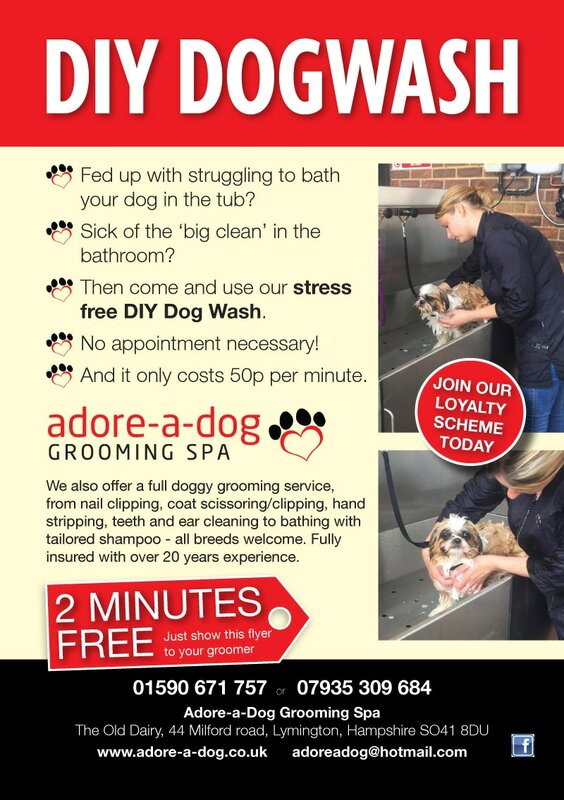 Adore-a-Dog Grooming Spa has been handpicked as being in the Top 3 Pet Grooming in the New Forest. We require 24hrs notice for cancellation of appointments. Time is reserved to groom your dog. Missed appointments will incur a cancellation fee of £10 before further appointments can be booked. Dogs arriving late may have to be re-booked and the cancellation fee will apply. Please be on time. Thank you. Our NEW Salon . . . If you have any queries or wish to make an appointment, please contact us using the form below or just give us a call.